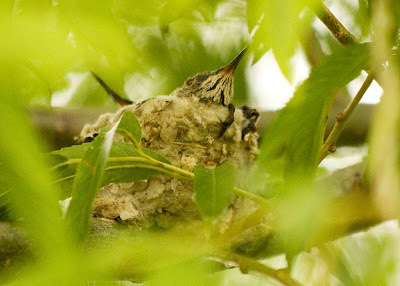 This afternoon while taking a few quilt pictures I will post in a day or two, I checked on our little hummingbird nest in our backyard. Today I noticed two little beaks poking over the side. You can't tell by the picture, but these guys are tiny. This little head is probably not more than 1/2 inch across. I don't think the momma bird was too thrilled that I was checking out her territory. She doesn't seem to understand that she is actually the squatter. Her nest is about 15 feet up in the tree. I was standing on a chair but used my zoom lens to get these pictures. 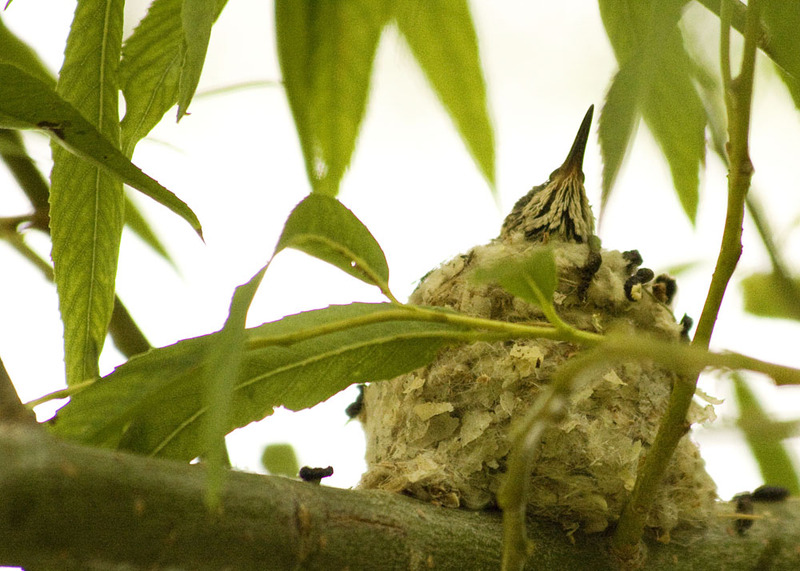 I wasn't close to her nest at all, but the entire time I took my pictures, she was going nuts. This was one of the rare times she actually held still. 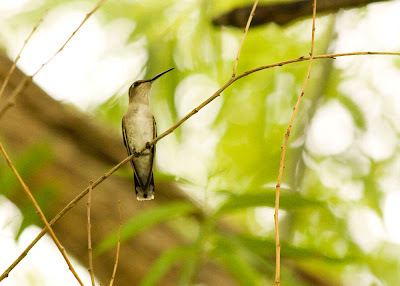 Hummingbirds are my favorite. You are so lucky to have a nest in your yard. hummingbirds are my favorite too! How special to get to see this! A giveaway just because it's Tuesday! A few other giveaways to check out.